Canadian Wildlife Federation: How bad is road salt and are there alternatives out there? How bad is road salt and are there alternatives out there? Environment Canada states that approximately five million tonnes of salt is used on our roads every year. Cities like Toronto and Montreal use well over 130,000 tonnes of salt annually. You can only imagine that so much of the stuff is not good. Not only can road salt take a toll on our bridges, roads and buildings, it can also impact our soil, water, plants, fish and wildlife. Road salt has been shown to reduce soil fertility, damage roadside vegetation and negatively impact our waterways. And when salt makes its way into our freshwater, it can be damaging to the plants and fish that are not used to having salt in their habitat. 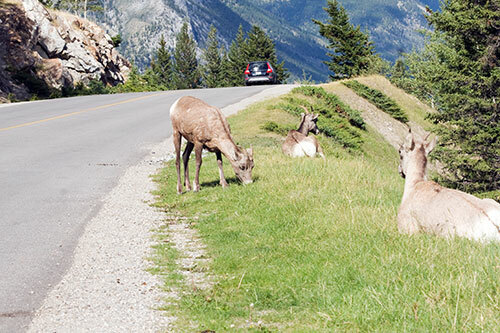 Moreover, a lot of wildlife are attracted to the stuff, making their way to road sides to ingest the salt and can often end up in a collision with a vehicle. There are plenty of alternatives that cities are starting to put into place though. In northern B.C., Toronto and parts of Quebec, they’re using Beet 55 (made in part from beet juice) when the temperature dips below -20C. Some states in the U.S. have been cheese brine instead. This alternative is touted as being better for the environment and just as effective as salt. Are we close to finding an alternative that’ll put salt back in the pantry? We’re getting there, but we imagine it’ll take some time to get the costs down before we see them used more regularly.